How can this town possibly afford to give away anymore free music? On Wednesday, January 27th, Holocene introduces their first edition of Carpet Culture where you can "get warm n fuzzy in the front lounge room with some of Portland's greatest up-and-coming musical talents." This week features electro-rock with Wampire, dark soundscapes from Tunnels, and some cozy and curly ambient like the fur of Golden Retriever Moody. 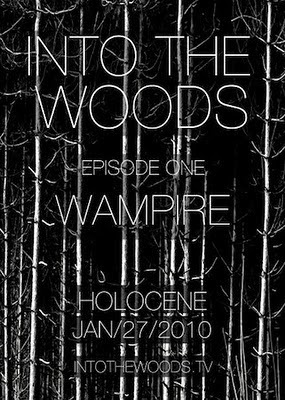 Plus Wampire shows up again on the big screen in the premiere episode of Into the Woods, a new web series where Portland bands march out to a cabin in the wilderness of Mt. Hood to perform an intimate concert with their besties.